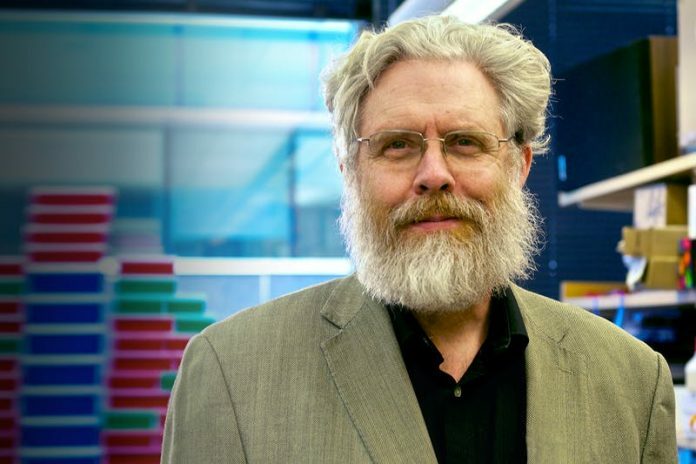 A startup whose co-founders include George Church, Ph.D., of Harvard Medical School, promises to offer low-cost sequencing of data that owners can store securely through blockchain technology, in return for earning cryptocurrency. Nebula Genomics will offer whole genome sequencing for under $1,000, and exome sequencing for under $300, according to a whitepaper through which it has announced its launch. Nebula said it will aggregate and store data provided by individuals and genomic databanks, which would be able through the company to control access to that information. That network will grow, Nebula predicted, due to advancing technology, the needs of industry, and consumer demand. Data providers would buy personal genome sequencing through company-generated “Nebula tokens,” which data buyers would also purchase from Nebula using legal tender to gain access to the data. Prices of the tokens “will decrease at an exponential rate as DNA sequencing becomes cheaper,” Nebula promised. Buyers would purchase access to the data through “smart contacts” on the Etherum blockchain, and can subsidize the sequencing cost of select individuals. “Encouraging sign of the value of Your data: multiple new companies who will pay you for it,” Eric Topol, Ph.D., professor of genomics at The Scripps Research Institute, and chief academic officer at the healthcare system Scripps Health, tweeted yesterday, including Nebula among those companies. Nebula said it will subsidize data purchases of buyers with verified academic affiliations, calling that consistent with its goal of promoting scientific advancement for all by supporting research by nonprofit institutions. The startup said it will protect data privacy through encryption-based secure computing based on a digital decentralized blockchain. Owners of data will be kept anonymous while buyers of data will be required to be transparent about their identities, Nebula promised. Dennis Grishin, Boehringer Ingelheim PhD Fellow in Genetics and Genomics at Harvard University. Kamal Obbad, a Harvard graduate and serial biotech entrepreneur who previously worked at Google. The co-founders co-authored the whitepaper with the company’s three advisors. Two hold the title of founding advisors: Mirza Cifric, co-founder and CEO of Veritas Genetics, a provider of whole genome sequencing and interpretation that was also co-founded by Dr. Church; and Preston (Pete) Estep, Ph.D., co-founder and CSO of Veritas Genetics, and director of gerontology and director of genome sequencing at the Harvard Personal Genome Project, launched in 2005 to enable researchers to connect human genetic information with human trait information and environmental exposures. The other advisor is Yining Zhao, Ph.D., founding partner at Just and co-founder at Veritas who serves as managing director for its Asia business. Nebula is not the only blockchain-based genomic company. Luna DNA pays providers of genomic data in “Luna Coins” for DNA and other medical data the company sells to buyers. Several of the company’s co-founders and executives, including CEO Bob Kain, formerly worked at sequencing giant Illumina. In the whitepaper, Nebula didn’t mention Luna DNA but contrasted its model with those of three other personal genomic data companies, 23andMe, Helix, and Ancestry.com. Unlike those companies, Nebula said, it will not serve as an intermediary between data owners and data buyers. Instead, owners can acquire personal genomic data from Nebula sequencing facilities or other sources, join the company’s blockchain-based network, and connect with data buyers directly.